In the first part of how to survive lagos traffic, which i posted some time back i talked about 9 useful tips that can help in Lagos traffic. Today i am back with the concluding part and this time around i am dropping 7 Tips when driving in Lagos. 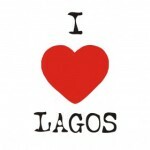 I love Lagos! Lagos is a place to be , where everything happens . One of the busiest places in the world . I can say Lagos hardly sleeps. It is the city of hustling, the city of high spirits, the no-nonsense city. There is so much to see, hear and absorb; the constant noise, the shrewd traders, the festive parties, the carnivals, the sunny beaches, the bridges, the colourful markets, the food, the drinks, the music and the millions of people of different tribes and nationalities. WEDDING PHOTOS: TIWA SAVAGE TIES NUPTIAL KNOT TO MANAGER , TEE BILLS. The combination for this day is Gold and pink . 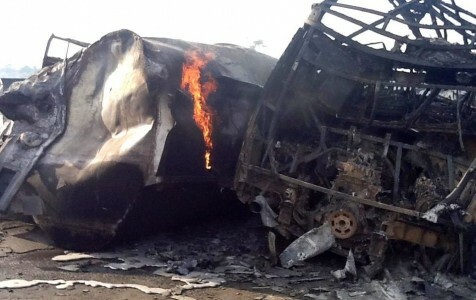 Six trucks were on fire at Kilometre 33 of the Benin-Ore Expressway on Monday afternoon, the Federal Road Safety Corps, FRSC, said. The corps urged caution among motorists and advised travellers from Lagos to go through Ogbemudia farms. The day we’ve been anticipating has finally come as Peterbecomes the man he is and takes legally Lola Omotayo as wife . It happened at the Ark event center in Lekki, Lagos. A female staff of an old generation bank in Ondo State, southwest Nigeria, Alabi Joy Omotayo, 26, has been arrested by the police at Onikan division, Ikoyi, Lagos for allegedly withdrawing N24 million from the bank’s customers’ accounts. After investigation by Police Corporal Orifa Olugbenga and his team, the suspect was arraigned before an Igbosere Magistrates’ Court, Lagos on a five-count charge of felony to wit, stealing. The police alleged in charge No C/34/2013 that the accused was arrested following a complaint by the management of the bank’s headquarters in Lagos that the accused, a customer service care officer at their Ondo branch office, had stolen N24 million.